Red meat is a good source of zinc, which helps keep your immune system and skin healthy. It also contains more iron than most other foods while also being rich in B vitamins you need for making blood and maintaining nerve cells. According to registered dietician Glenn King, the human body can digest red meat. Digestibility refers to how much of a food can be broken down into necessary nutrients used by the body. King states that 97 percent of beef is digestible, compared to just 65 percent of most vegetables or 89 percent of flour. Depending on your overall health, medication usage and the state of your digestive tract, it takes 24 to 72 hours to fully digest red meat. According to "The Independent," red meat is linked to diseases like Alzheimer's, bowel cancer and high cholesterol. King advises that eating red meat isn't necessarily bad for you. Rather, it's the overall diet that influences health. Someone who eats too much cooked or processed food eventually impacts enzyme production in the pancreas, which might lead to digestive impairment. Long-term, that can cause elevated white blood cell levels and an impaired immune system. 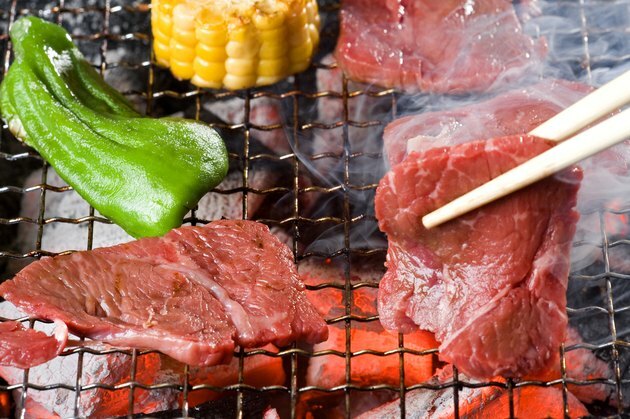 King Institute Health News Update: How Long Does It Take to Digest Meat? The Independent: Is Meat Good or Bad for Us? Is Roast Beef Good for a Diet?